Alma de Cuba is a remarkable city centre bar, restaurant & venue with a unique twist. 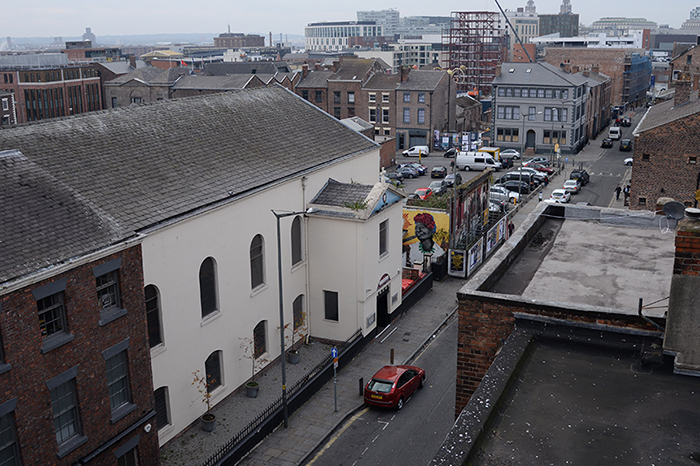 Located in the thriving nightlife district of Liverpool’s Ropewalks, Alma de Cuba is homed within the historic former St. Peters Catholic Church on Seel Street making for a completely unique and stunning venue. Built in 1788, the church served as a catholic building until 1976, after which it became the local church for the Polish community around the area. Until its closure, St. Peter’s was the oldest Catholic Church in Liverpool and is recorded in the National Heritage List for England as a designated Grade II listed building. It’s listed status has helped to protect a number of original features which make Alma de Cuba the spectacular venue many love, this includes the memorial tablets and the murals which were painted alongside the large picture of St Peter behind the altar. Our plan for Alma De Cuba is to give the current interiors a facelift whilst improving some of the entertainment on offer throughout the week. I am also keen to take the Alma brand to the rest of the UK like we have done with Signature Living. Alma de Cuba is a concept which is immensely popular and we currently have exciting plans for an Alma de Cuba hotel next door to the venue. The theme of Alma will carry on through with the two buildings being connected via an arched entrance on the side of the current building. This is hugely exciting and myself and Signature Living are looking forward to starting the developments on the Alma de Cuba Hotel and creating yet another unique hotel in Liverpool.